After two wins and seven goals scored their seems to be a new sense of optimism at the club's Benton training ground. The Magpies had previously gone a month without winning a game, but after back-to-back wins confidence is growing. Newcastle United progressed to the fourth round of the FA Cup last week as well as dragging themselves out of the relegation zone. This has resulted in a different kind of dressing room compared to the one in the last month, according to Christian Atsu. The Magpies found themselves in the relegation zone before their game against fellow strugglers Cardiff City. A victory saw Newcastle swap places with their opponents as the Bluebirds moved into the bottom three after the Magpies' convincing victory. This has allowed the players to have a more positive outlook on the season as they prepare to face Watford in the FA Cup with the chance to progress past the fourth round for the first time in eleven years. Rafa Benitez will be wanting his players to carry their confidence and level of performances into the game against the Hornets tomorrow before they face Manchester City and Tottenham Hotspur respectively. As the Magpies head into the business end of the season Benitez and his squad know they must believe in themselves to avoid the drop. Atsu spoke to The Chronicle about how you would not recognise the dressing room if you saw it this time two weeks ago. "When we lose games, you really have no idea what the dressing room looks like." "You don't know how we feel when we go back home; it's like the whole week is miserable." "You don't know how to get it out of your mind, and you don't know what to do to make yourself feel better." The Ghanian winger looked ahead to the game at the weekend and was hopeful of another victory: "It's not just a Cup game (against Watford); we want to win for the fans, so we will be prepared for that." "Every game is important for us." "The fans want to see us win each and every game, which is why they always turn up in their tens of thousands, home and away." "But this is the league we are playing in; it's what can happen." "We just need to keep working hard and we have to face the reality that we are in the relegation battle; accept it and fight." 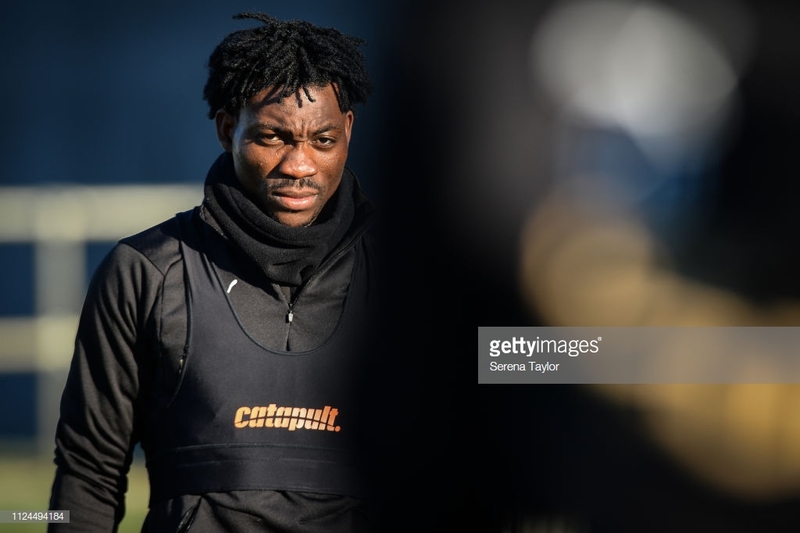 Atsu added how much of a difference having the fans behind the team makes and that they want to win more games to pay the fans back for their support all season. "Our fantastic fans always support the team, and we want to fight for the fans every time we play at St James' Park." "We get 52,000 every week, and they deserve more." "We've shown we want to make them happy, and the winner against Cardiff was for them." "I'm working hard for the team and trying to keep improving, but for me what is more important is the team winning."